Hello Everyone! 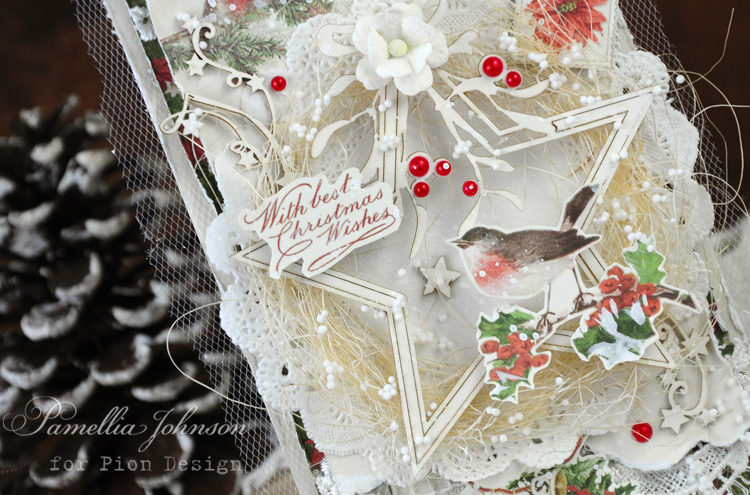 Today I am sharing a traditional style Christmas card featuring the fabulous new Pion Design holiday collection “Let’s be Jolly”. 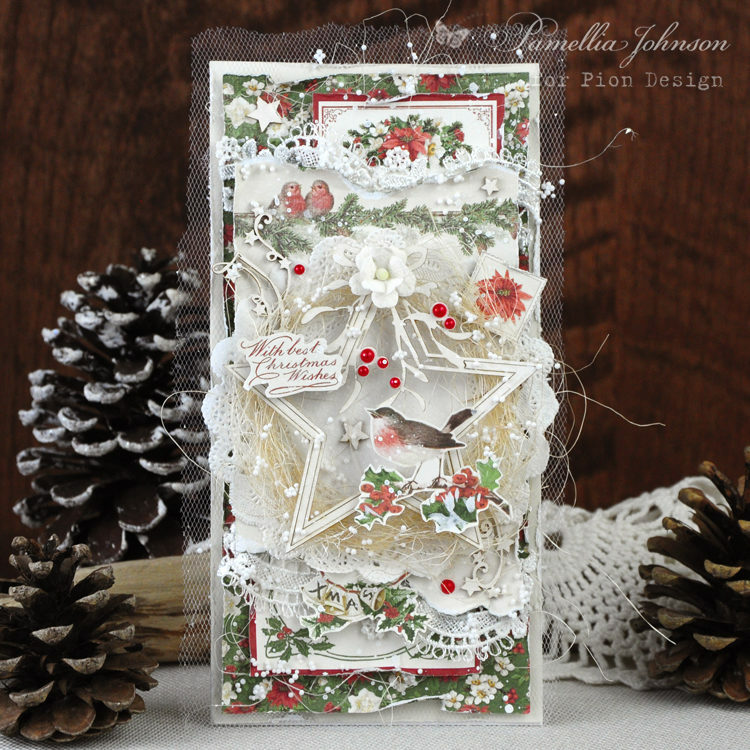 How wonderful are these poinsettias and birdies, I just can’t get enough of these festive image and patterns! 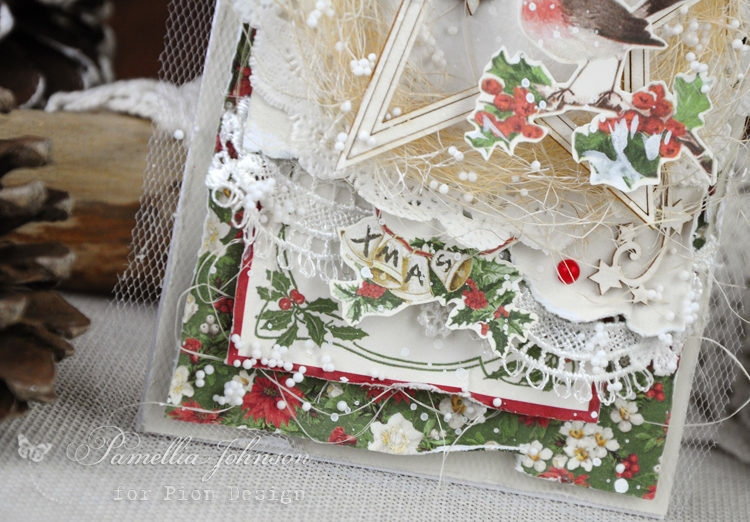 Again another amazing Christmas Card WoW WoW how beautiful with this star this make jour Card so special.